There is a global shortage of pilots at the present time, various estimates suggest that at least 790,000 more pilots will be required globally over the next 20 years with around one-third of them in the Asia Pacific region. Today, the Qantas Group has announced the first of two regional locations for its new Pilot Academy's will be Toowoomba in southern Queensland. Due to open its doors by mid-2019, the Toowoomba is the first of two locations chosen from a shortlist of nine regional cities, with Alice Springs, Bendigo, Busselton, Dubbo, Launceston, Mackay, Tamworth and Wagga Wagga still under consideration for the second academy site. 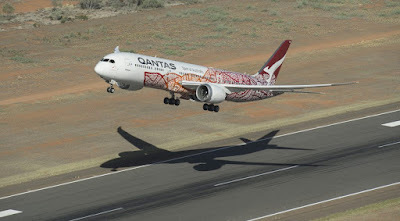 Qantas Group CEO Alan Joyce said the airport, state and local government, and the community had demonstrated that Toowoomba would make a great home for the first Qantas Group Pilot Academy site. 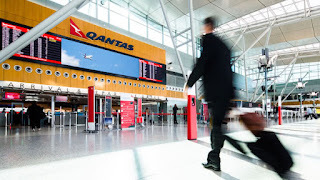 “Qantas has a well-earned reputation of having some of the world’s best pilots. For many of them, the journey will start right here in Toowoomba. Toowoomba will be an amazing place to learn to fly. It’s home to Australia’s newest airport and offers over 300 days of Queensland sunshine each year and an environment that is textbook for pilot training." “The region itself is a great place to live, work and study. We’ve already had many students express their interest in moving to Toowoomba for this pilot training. In partnership with the Queensland Government and the Wagner Corporation, who own the airport, we’ll build state-of-the-art training facilities and student accommodation. What we’re ultimately creating is a world-class pilot school for students from Australia and around the globe.” said Mr Joyce. It is expected that building the facilities at Toowoomba will create more than 100 direct jobs and around 300 indirect jobs in the local construction industry. The Academy site will create ongoing employment for up to 160 people in training and support roles, plus significant flow-on opportunities for local businesses.